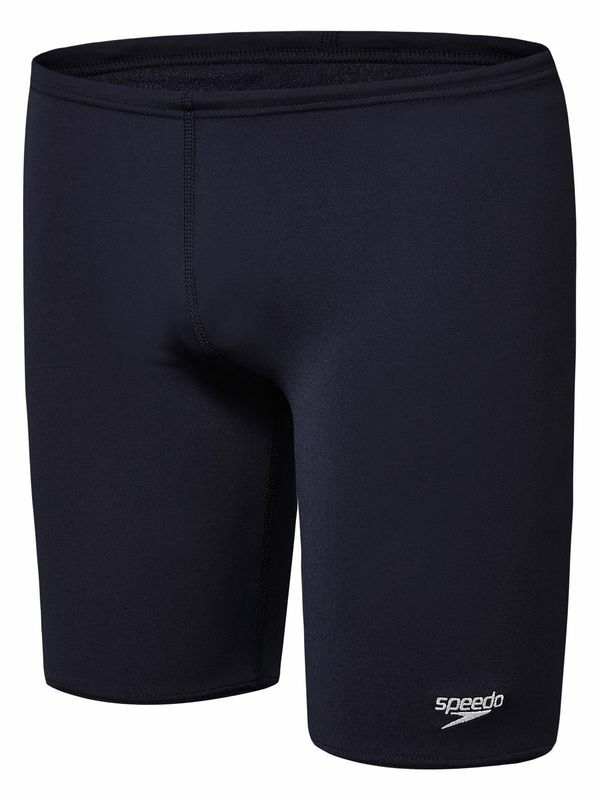 Select SIZE Boys 06 Boys 08 / 22" Boys 14 / 28"
The Speedo Basic Navy Boys Jammers are solid black. These jammers are knee length and feature a drawcord for a secure, comfortable fit. They also feature the Speedo logo on the front and the Speedo Endurance logo on the back. Perfect your streamline body position in these training jammers. Basic Navy Boys Jammers manufactured by Speedo Swimwear the worlds leading swimwear brand. Speedo is passionate about life in and around the water, creating revolutionary new technologies, designs and innovations.